For those who missed it … Lindsay Lohan unveiled a clothing line called “My Addiction”. And some say, Peter Pan Live, never got off the ground. But…somewhere between lowbrow and brilliant, in two separate but equally stunning interviews, thought-leader Seth Godin and Harvard psychologist Ellen Langer, spelled out some pretty fancy ideas on the art of noticing. The Take Away: Practice seeing the invisible and use it to renew your quest. So, I started taking note of some super fresh people who are seeing, and thinking, and acting their way in and outside-the-box. 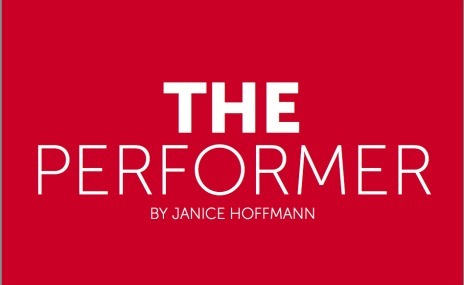 “The Performer” is the first in a snippet-sized series featuring movers and shakers and their personal strategies. I think it’ll help you notice some really good things. Tra-la-la-la la la la la la la! This entry was posted in creativity, Essential Dish, goals, productivity, Uncategorized and tagged Actors Life, Life Coaching by Janice Hoffmann, Role Models, THe Performer. Bookmark the permalink.